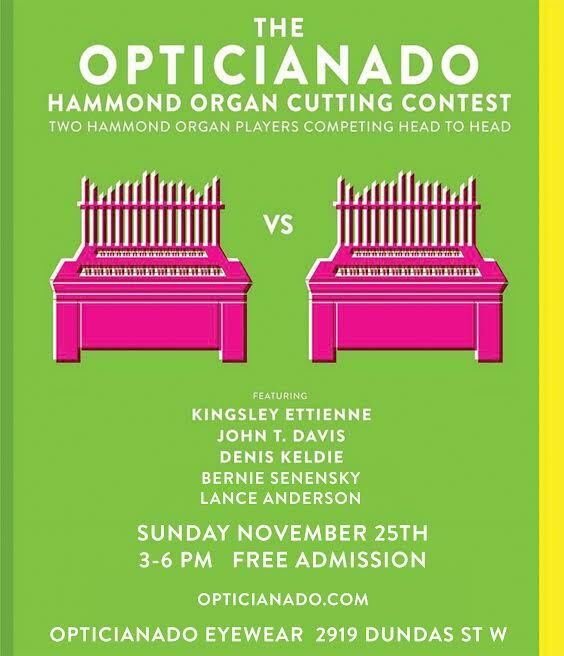 The long-anticipated Opticianado Hammond Organ Cutting Contest will be here this very Sunday November 25th from 3-6 PM featuring our pals Kingsley Ettienne, John T Davis, Denis Keldie, Bernie Senensky, and Lance Anderson! The best organ players in the city go head to head on 2 Hammond B3 organs while you browse our one of a kind eyewear collection. Never heard of an organ cutting contest before? Check out the video below of our past session for just a hint of what’s in store!